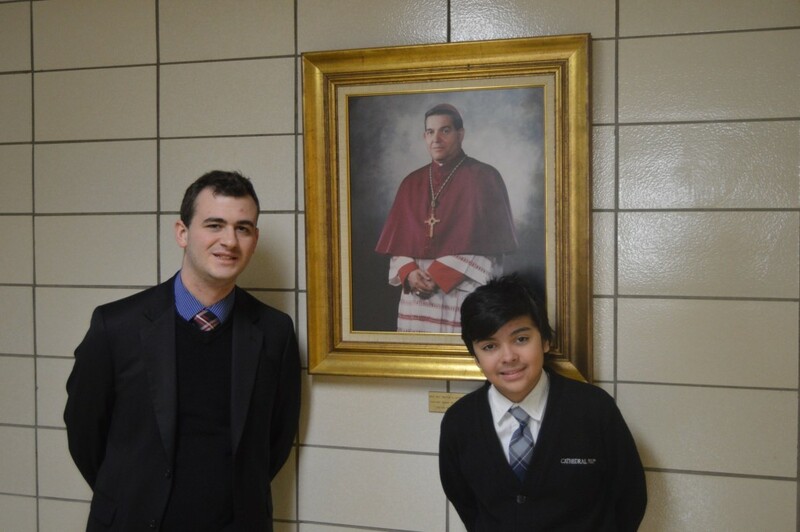 The Bishop Catanello Scholarship was awarded this past year to Raphael Silva. Raphael is a freshman in the honors section, who has proven to be a worthy recipient by meeting his academic requirements and portraying great leadership qualities. Raphael is pictured with Mr. Sammarco, `10, his history teacher and knight from the Knights of Columbus Holy Family Council. This council is hosting a dinner celebrating the life of a man of greatness, Bishop Ignatius Catanello, This night will be in support of the scholarship in his memory.